June 23, 2015 - Like us now! The entrance exam season is upon us, that time of the year when students in their 12th year of education go through the most brutal of experiences. Applying for university is a nerve-wrecking, to say the least. You have come so far and your future depends on the kind of university you end up in. There are several myths surrounding the university application process in Pakistan: Should I join an academy 24/7? Will my high school grades suffice? Am I making the right choice? 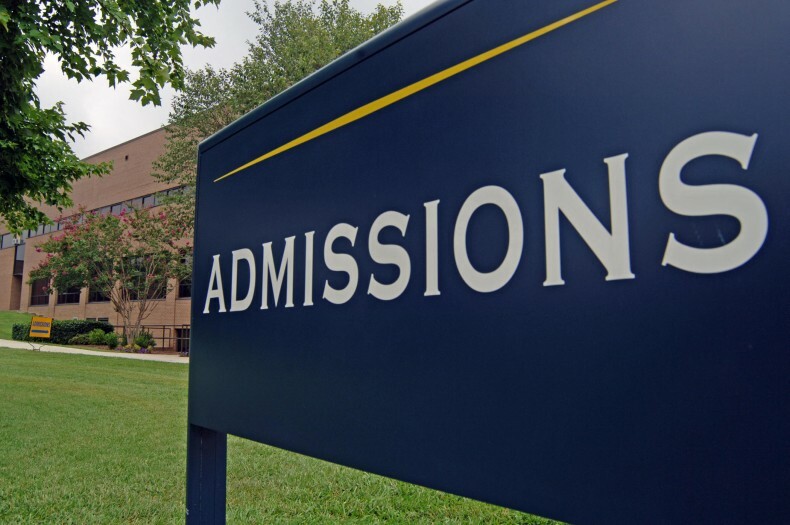 While many of you may have already been accepted to various universities, in this article I will cover some of the common thoughts students have and what details you should pay attention to. In regard of entrance exams, A-Level students have better guidance than FSc. students in terms of test, where to apply and how to prepare. The SAT test the students’ analytical skills in the same manner that O/A Level exams do. In case of FSc students, majority of them spend their 2 years rote learning their course books and only start preparing for the entrance exam at the 11th hour. In order to ace your exam you need to have sound grasp on what you studied in college but more importantly how to implement that knowledge to solve problems. Keep an entry test preparatory book with you throughout your 2 years at college and practice your analytical and problem solving skills, something that FSc will never teach you. If you have excellent grades, great. If not, then don’t be disappointed. While applying for a university abroad, perfect grades will always be a plus point. However, in that case as well, you need a great track record at school, recommendations from your teachers, an excellent college essay and an impressive interview. However, when applying in Pakistan a student with average high school grades has a better chance of getting accepted if he aces his entrance exam. Institutes like NUST, LUMS, GIKI consider a greater percentage of their entrance exam, which can work in your favor if you ace it. However, in other institutes like UET and UHS, high school/college scores also count a great deal. So if your parents are disappointed with your grades, prove them wrong by getting in a good institute. It won’t be difficult if you work just a little harder. When applying for a university, students tend to be impressed by the reputation of an institute and assume all of its offered courses are top-notch. More often that is not the case. Never assume for yourself that if a university has a great engineering school then its business school would be the same, or vice versa. No one will be able to guide you better in this regard than the students who study in that institution. Your future is at stake, so before you pick a university, go and visit it. Talk to the students there and garner an idea whether that university is better suited for the field you have in mind. Majority of the people choose a field just because it is the hype and everyone seems to be doing it. While in case of some students the choice might work out, others are left wondering whether they are wasting away their life doing something they don’t like. Just because a degree is offering better paying jobs now doesn’t mean that will be the case when you graduate. However, some trends are long lasting and there will always be a need for certain professionals e.g. Chartered Accountants, Architects, Software Engineers. While picking a field ask yourself, do I like this field and is it according to my area of interest? If yes, then you will always find a way to make things work. When the entrance exam season arrives, don’t apply to every university you hear of. At the end, you might be faced with the tough decision of picking and you may not know what to do. Pick a university if it is good reputed and offers good faculty in the area you are interested in. When the results come out and they are not how you expected them to be, don’t fret. I know a lot of people who wanted to do Electrical Engineering but weren’t accepted. So they left the better university to do Electrical Engineering at a lesser known institution. If your first choice is out of reach go for your second option, rather than leave a good university. At the end it is not the name of the degree but the name of the institution that matters. Students and their parents alike tend to go for the most famous of names, when applying for universities. However, they can’t entirely be blamed for Pakistan has only a handful of good institutions. But to think that you’ll be more successful if you choose a famous institution is an entirely different thing. Your success, in and after you graduate from university depends on several factors. Choose a university because it is better suited to your aim and not because it is famous. This brings me to my last and most important point. Once you enter a university you will end up somewhere, but in order to end up somewhere good you need to work very hard. Recognize your abilities and work hard to polish them. Extend your social circle and meet new people. Try to find out what sort of skills companies require, so that once you graduate you are all ready. Gather as much experience as possible, participate in competitions, take summer internships and never let a good opportunity slide. It does seem a little intimidating all at once, but these 4 years at university will pretty much define the course of your life after you graduate.